Frankfort Ave to N Bayly to Left on Field to Right on N Bayly to Right on Hollywood Ter,2736 is immediately on your Left -OR- Brownsboro Rd to South on N Birchwood to Right on Field to Right on N Bayly to Right on Hollywood Ter. 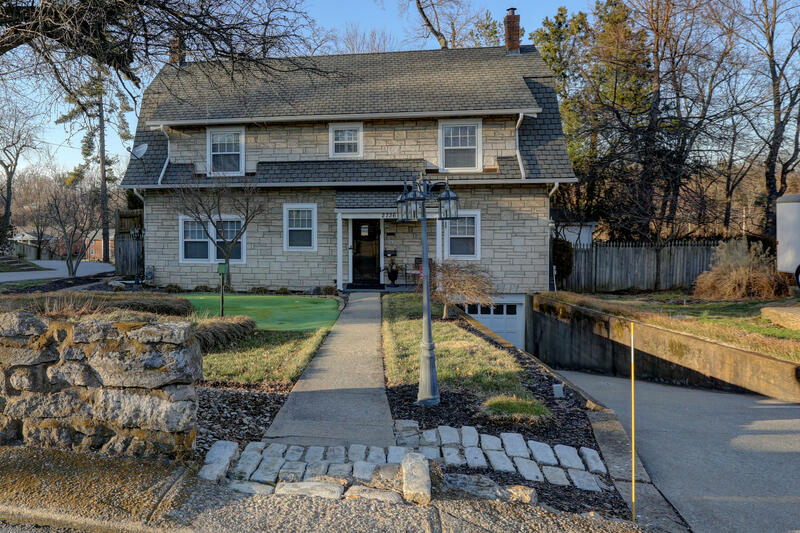 This beautiful stone colonial has been loved and well maintained over the past 30 years! Gorgeous architectural and hardwood flooring is found throughout this home. The main floor offers a spacious entry foyer, the kitchen is equipped with tile flooring, granite countertops, a double drawer dishwasher, a pantry closet and it still has the original ice box which is used for storage! Off of the kitchen is a charming room which could be used as den or office and is opened to the formal dining room which flows nicely into the large living room with a gas fireplace. The second floor offers 3 spacious bedrooms and a full updated bathroom with tile flooring. The 3rd floor is perfect for entertaining with friends and family and offers a wet bar as well as skylights.